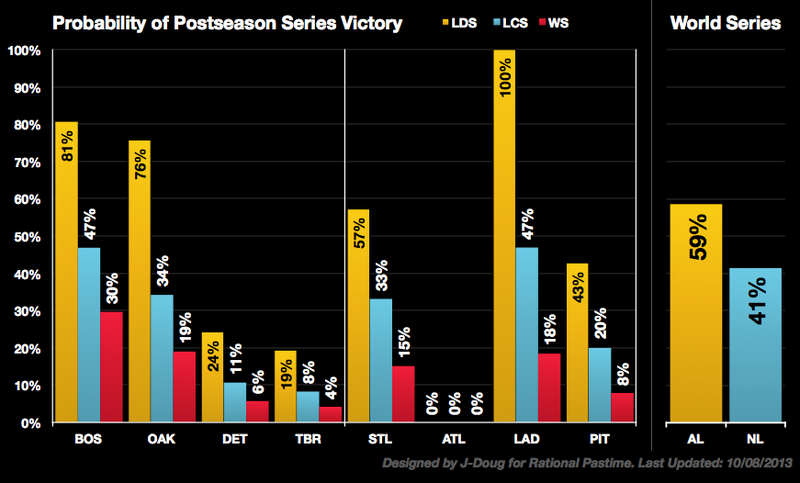 This article is part of a continuing series examining the postseason prospects of the eight seven remaining MLB playoff teams in 2013. Monday's slate of MLB postseason games was the most exciting yet, producing dramatic wins, crushing defeats and significant movement in the World Series prospects of each team. 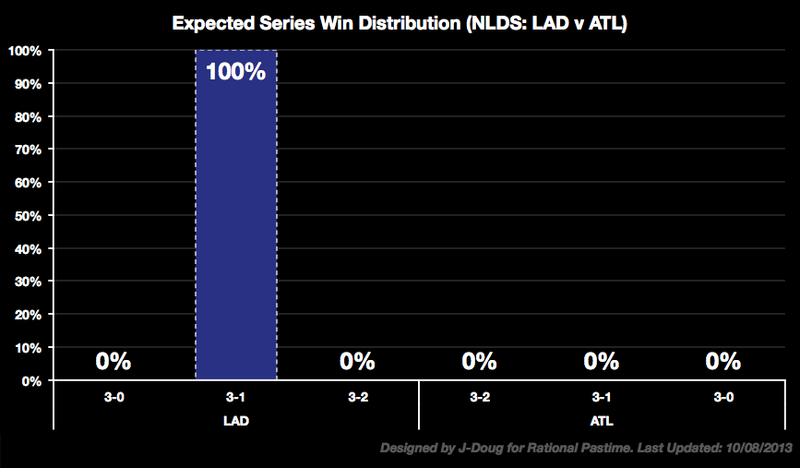 Of the three teams facing elimination, only one—the Atlanta Braves—fell by the wayside. The St. Louis Cardinals and Tampa Bay Rays saw their championship probabilities rebound. While the leader of the pack—the Boston Red Sox—saw their championship hopes notably decline, they are still well ahead of their competitors. 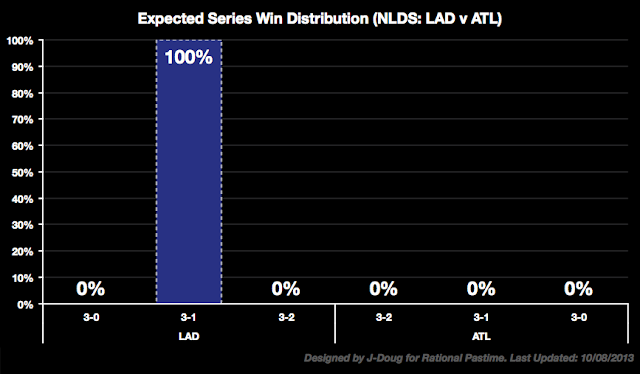 The Los Angeles Dodgers, yesterday's big winners and first team to advance, climbed into a practical dead heat with the Oakland Athletics in World Series probability (still far behind the BoSox). 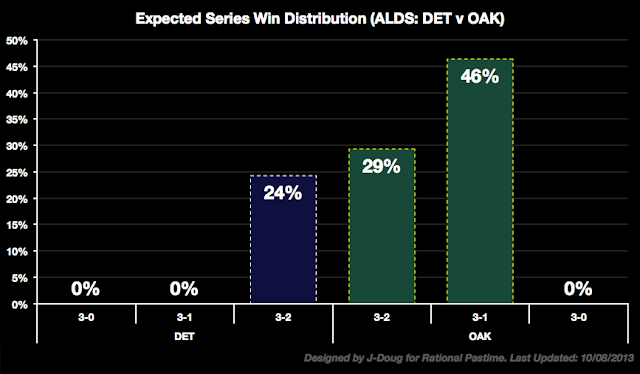 The A's will boost their prospects significantly if they dispatch the Detroit Tigers tonight and claim a spot in the ALCS. Check out series breakdowns after the jump. The Tampa Bay Rays are still alive in 2013—barely. 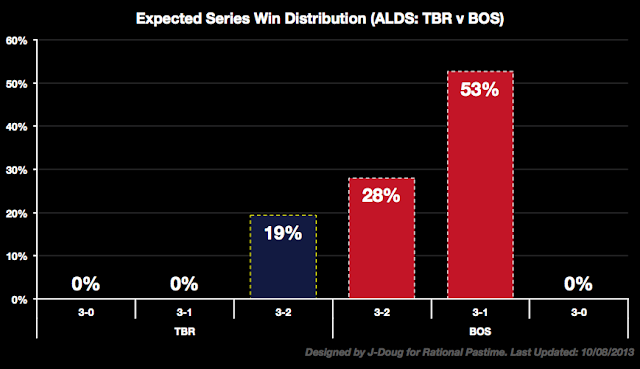 Their dramatic, series-saving win against Boston last night leaves them with an approximately 4:1 chance to reach the ALCS and lowly 24:1 odds to win the Fall Classic. 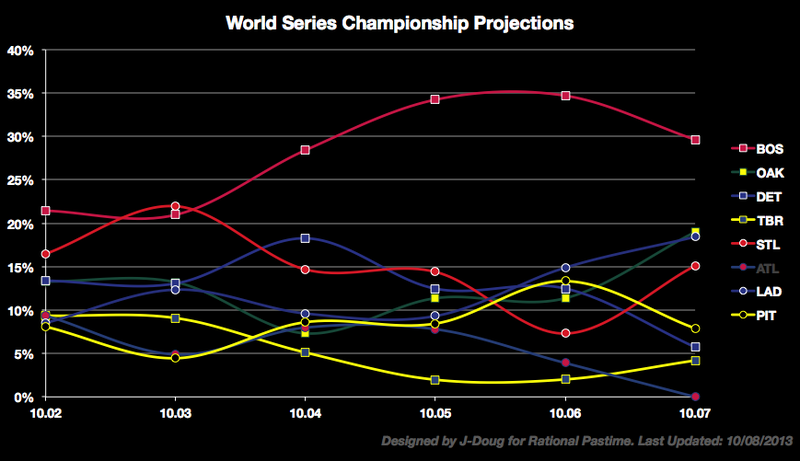 Rational Pastime's ratings and projection systems give Boston better-than-even chances to take the ALDS this evening. The Detroit Tigers are only a bit better off than the Rays. Facing 3:1 odds to win the ALDS and 15:1 odds to win it all, they find themselves on the precipice in tonight's contest against Oakland. Even if they force a game five, Oakland's home field advantage means that the RP rating system still favors the team with the elephant patches. Facing elimination and a profound upset, the St. Louis Cardinals' Michael Wacha pulled a second consecutive one-hit performance out of his hat to save the series and the season. 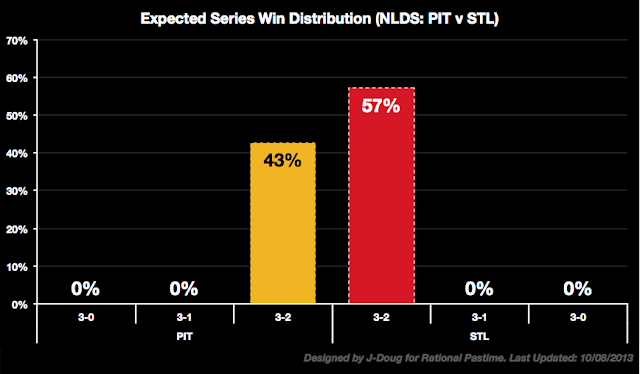 As a result, I once again pick the Cardinals to advance, given their superior rating and home field advantage. The Dodgers won. The Braves lost. With the Braves' season-ending loss, the rating system ranks them nearly as low as the Baltimore Orioles despite a dominant 2013 campaign in the NL East. Check back tomorrow for updates following tonight's games.